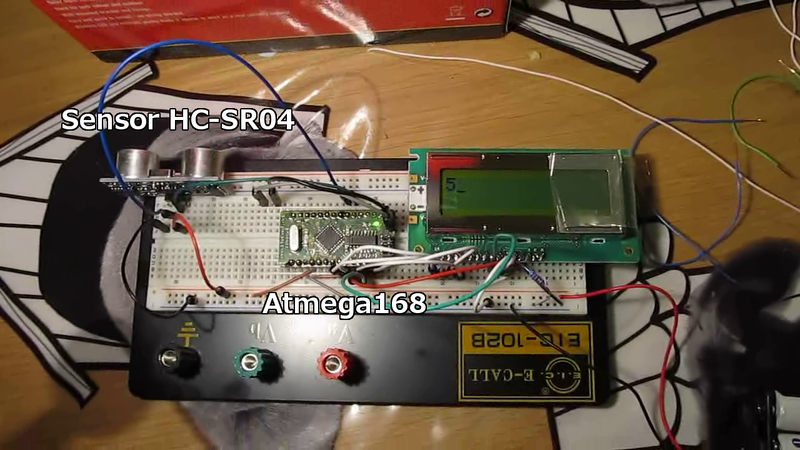 I'm trying out the Sensor HC-SR04 Modul. First of all I had to figure out, how it works. As you can see it has 4 pins. Send a 10us impulse to trigger pin. The module will send 8 ultrasonic impulses. The echo pin goes high for 100us to 25ms, depending on the distance to the object.